Find the care you need in the place you want. Canada's Choice In Home Care. We are a nationally respected network of non-medical, private duty home care agencies providing senior care, elder care, personal care, respite care and companion care to help the elderly and adults continue to live in their homes across Canada. Senior Homecare by Angels will meet with the family members and the medical professionals involved in your loved one's life. Our goal is to get a complete picture of your loved one's in-home care needs. 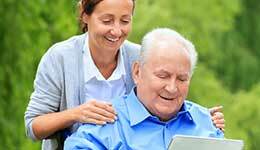 Senior Homecare by Angels is a national, private duty network of home care agencies. We are proud to be the nation’s leading provider of non-medical senior home care services. 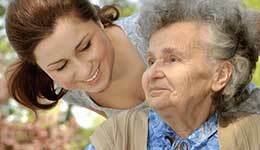 Our Angels provide in-home care, elder care, respite care, senior personal care, elderly care and companion care services. With our senior home care services, elderly adults can continue to live independently in their own homes. 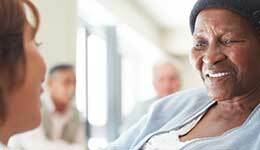 When you choose Senior Homecare by Angels as your elder care provider, you will enjoy proactive senior home care services that are focused on the needs of your loved one. Our elder care services are designed to put you in control. We don't dictate your schedule or try to adjust your habits to meet our needs. Instead, our job as caregivers is to adjust to your routine. Our caregivers do everything possible to keep you safe and comfortable in your own home. Your Senior Homecare by Angels team is fully committed to ensuring your loved one receives the best senior home care services available. As part of that commitment, we have instituted a system of follow-up checks. The service coordinator from your local franchised office is trained to reach out to your loved one via regularly scheduled phone calls and at home drop-in visits to ensure they are receiving the best care possible. At Senior Homecare by Angels, we don’t ever want your loved one to get "lost in the shuffle". 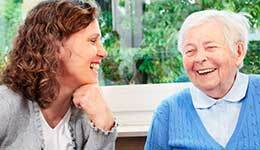 At Senior Homecare by Angels, we know that choosing an elder care provider is never easy. You have many questions and concerns. You need to make the best choice for your family. We invite you to call your local Senior Homecare by Angels franchised office to discuss the senior home care options available in your area. Find out how your local Senior Homecare by Angels franchised office can help your family find peace of mind with caring, compassionate elderly care services. You can find your local Senior Homecare by Angels franchised office by calling 800-365-4189 or by entering your zip code in our office locator. 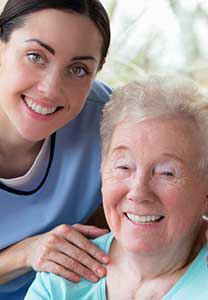 Quality elder care services are close to home with your local Senior Homecare by Angels franchised office. 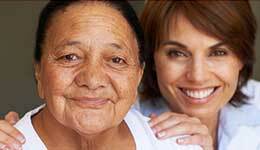 Each Senior Homecare by Angels agency is a franchise that is independently owned and operated. The Franchisor, Living Assistance Services Inc., does not control or manage the day to day business operations of any Senior Homecare by Angels franchised agency. The personalized screening system that our Senior Homecare by Angels franchised homecare agencies are trained to perform is designed to maximize your peace of mind. Spring is in the air, and whether you’re eight years old or eighty, it’s the perfect time to get outside and enjoy the outdoors. If you are a family caregiver for an older loved one, there are plenty of outdoor activities for seniors that you and your loved one will be able to enjoy together. Mother’s Day is one of the most treasured holidays on our calendar. 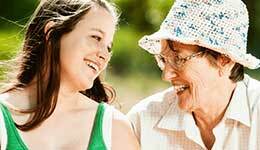 Visiting Angels knows how important Mother’s Day can be for family caregivers who are looking after an elderly parent. We've outlined some winning ideas that caregivers can use to make this year’s Mother’s Day one to remember. More Americans now receive home dementia care than ever before. But despite the higher demand for dementia care, there are still several common misconceptions about this type of home care. Recently, we spoke with Barney Freiberg-Dale, co-director of Visiting Angels in Newton, MA. Barney and his wife/co-director Eileen have responded to the increased need for dementia care by investing heavily in a specialized dementia care program. In providing dementia care for the Newton area, Barney told us there is one misconception that he comes across again and again. It’s no secret that physical activity helps us age healthier. But according to a new study published in the American Journal of Epidemiology, physical activity can also help us age slower. Study results showed that inactive women had a biological age a full eight years higher than the women who exercised regularly. Our Office Locator assists you in obtaining the closest office based on important information. Once submitted, it will identify the closest Senior Homecare By Angels franchised agency to where the elder care is needed and the agency location will available for you to view so you can contact them directly.